One of the top concerns that a person eating a vegan diet has is making sure that they are eating enough protein. This nutrient is essential to human growth and development. This is why our vegan protein powder can be helpful to those eating on this diet. Our product is 100 percent natural and does not contain any additives or artificial flavours. We feel that eating natural foods is best for you and your health. Our products are also gluten-free. They use the best quality of ingredients on the market and combine them into a powder that you can used in numerous ways. Our 180 natural protein vegan powder uses only twelve ingredients, all which are in their natural form. 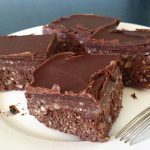 The ingredients include pea protein isolate, flaxseed, almond meal, sunflower kernels, coconut flour, cocoa (chocolate flavour only), chia seeds, pepita (pumpkin seeds), sesame seeds, psyllium husks, inactive brewers yeast and stevia. Our product can be used in smoothies, overall cooking and given to kids for a snack. 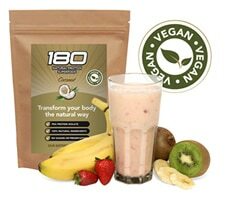 On our website, we have a large listing of recipes that can be used with our 180 natural protein vegan powder. They range from meals to desserts that you can pick from. A smoothie is one of the most popular items that people make with our product. It is also one of the easiest. People use 180 natural protein vegan powder for a variety of reasons. Some are trying to loose weight and our product can aid in that goal. With only healthy ingredients, our product will trim that waist and keep you from eating items that are unhealthy. 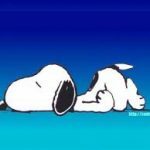 Others, are trying to build muscles. We picked the ingredients in our product because they are the most healthy for people. This product will help you develop muscles when you work out or strength train, while others use this product to get better overall health.